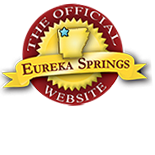 The town of Eureka Springs has been renewed for it’s healing spas and springs since its very beginning. The history of Eureka Springs tells us that it was a town built around the magical waters of the abundant naturals springs and waterfalls. These waters drew the afflicted in such numbers that Eureka Springs transformed from an isolated wilderness to a flourishing city in a few short months. It is no wonder that Eureka Springs is known to this day as a place for world-class massages and spas. With Valentine’s Day around the corner, there is no better time to plan a relaxing spa getaway to Eureka Springs! While you are here, don’t miss these Top 5 Spa Destinations in Eureka Springs (in no particular order)! Eureka Massage Center is a cooperative of four different licensed massage therapists offering the very best in the healing art of massage. They offer a wide variety of massages to suit every need. Don’t miss out on the fabulous massage special: A 90 Minute Massage for Only $75! Located in the basement level of the 1886 Crescent Hotel, the New Moon Spa is one of the largest destination spas in Northwest Arkansas. Not only do they offer relaxing massage, but also a full-service salon with manicures, pedicures, facials and more! Don’t miss their exclusive Bridal Studio for those of you planning a Eureka Springs destination wedding! For a massage with a personal touch, look no further than Alexa Pittenger. Alexa has been working in Eureka Springs since 1991 and offers a wide variety of unique massage therapies such as massage for the shy, pre-natal, digestive health and more. Alexa’s massage packages are customizable to suit any amount of time and budget! Spa 1905 is a Day Spa located on the second floor of the 1905 Basin Park Hotel in downtown Eureka Springs. Spa 1905 features a full array of services and trained therapists with a focus on skin care and relaxation. Spa1905 also has an extensive retail space offering a wide variety of spa, skin and hair care, bath, and relaxation products. Don’t miss the Hot Deals & Packages at Spa 1905! Last but certainly not least is the Palace Hotel and Bath House in downtown Eureka Springs. Take a step back in time with a truly unique Victorian era hotel and bathhouse! With spa packages that don’t disappoint, take the time to enjoy the services of the last standing Bath House in Eureka Springs! Discover more ideas and plan your Valentine’s Day and Winter Getaway to Eureka Springs. This entry was posted on January 12, 2018 by service424 in Basin Park Hotel, Crescent Hotel, New Moon Spa, Spa, Spa1905 and tagged Basin Park Hotel, bath house, Crescent Hotel, eureka massage, eureka springs healing, eureka springs massage, masage, palace hotel, spa.